Dr. DeFoore's Healing Anger Newsletter entitled "Make Anger Work For You Not Against You"
Hi, learn how your anger can become your friend . New web pages. Read stories contributed by good people like you, wanting to make things better, such as Mental Abuse Is Painful. This next contributor found our site to be The Perfect Forum For These Feelings. And finally, a very confused woman asks the question, What's Wrong With My Husband? See if you can help her figure it out! There are basically two ways...you either keep it all inside and hurt yourself, or you let it out in unhealthy destructive ways, and hurt other people and your relationships (which hurts you too). Let's look at some specific examples of this. You may have learned that anger is just bad, and so you always tried to keep it inside and not let it show. Then you started to get anxious, depressed and/or physically ill...it's hard on a body to hold a lifetime of anger inside. You learned that others are afraid of your anger, and so you use it to control people and get what you want. This can creat all kinds of problems, including anger addiction. You always kept your anger inside, but then you decided you just couldn't take it any more. 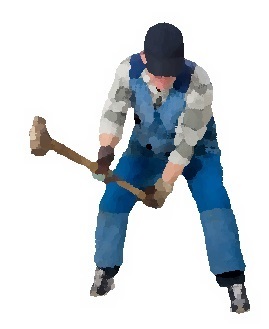 (When you don't express anger, you are likely to get walked on and pushed around.) So then you started exploding...and it felt better in some ways, and worse in others. These examples cover the most common scenarios, and you may or may not feel that they describe your own process. Most likely, you will find yourself somewhere in one or more of these scenarios. The bottom line is that in each of these examples, anger is unhealthy and destructive. But it doesn't have to be. 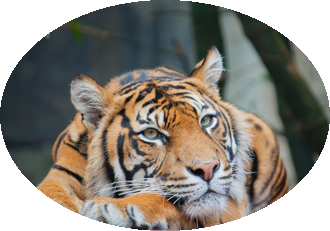 How would you like to really have a tiger in your tank? You already do...we just need to make sure it's not eating up your insides, or leaping out in the face of those you love. Here are some steps to taming the tiger. Let your anger speak. This daily journaling process will give your anger a healthy, safe place to go on a regular basis, until it starts to calm down and become more friendly. Regular physical exercise gives you a healthy place to put that primal energy, and will definitely help to soothe the savage beast. Learn how to embrace the beast. This step-by-step process will guide you through the exercise known as "see it don't be it" which is the first step to embracing the beast...read about the rest of that process in Anger Among Angels. Once you've taken one or more of those steps (which you may have already done), start using the healthy energy of your anger to fuel effective action. Take any problem you're facing in your life, look it square in the eye and say, "I'm going to solve this, and come out smarter and stronger on the other side...and nothing's going to stop me." There's your healthy anger working for you. I know this is easier said than done, but it also might be easier than you think it will be. Just get started, and take one step at a time, and you'll be amazed at how far you can progress in a relatively short period of time! 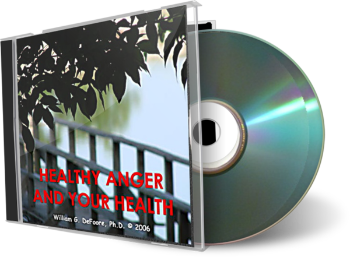 This audio CD/download/Ebook program will teach you about healthy anger and how you can use it to be healthier, smarter and stronger. But What If Your Anger Is Justified?